There was no stopping the American spirit at JBC today! All the staff came dressed to the nines in their most patriotic attire. 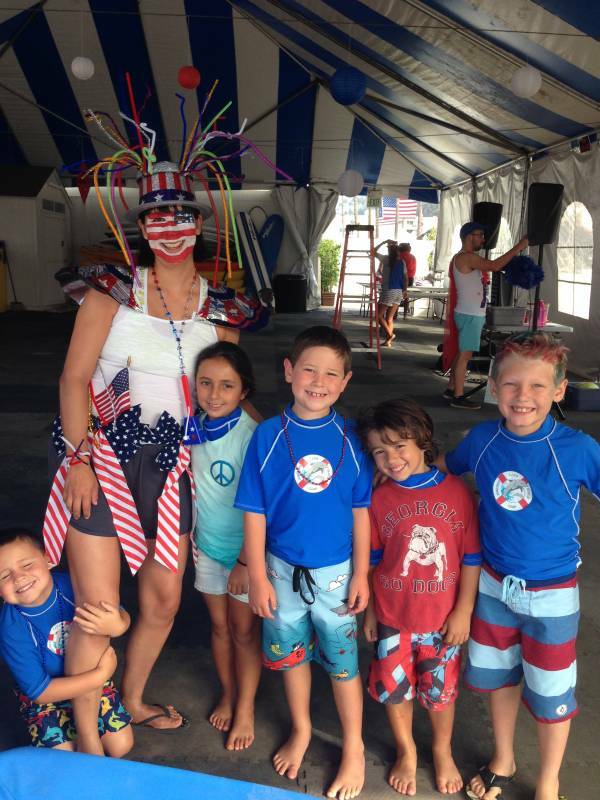 Campers followed suit with some really creative outfits! Brothers Teddy and Benji came dressed as Abe Lincoln and Ben Franklin! Campers had a blast with activities like red, white, and blue tag, uncle Sam beards, and a revolutionary scavenger hunt. In keeping with fourth of July tradition, the cabana competition was a watermelon eating contest that camper Noah won for the sea lions!